Just like you, many people have high regards for their bathroom furniture. Despite being one of the concealed and unobserved portions of the house, the bathroom is definitely one of the areas in the home that often gets inspected. Vanity of the Week: The 59″ Modus Wall-Mounted Double Vanity Cabinet! 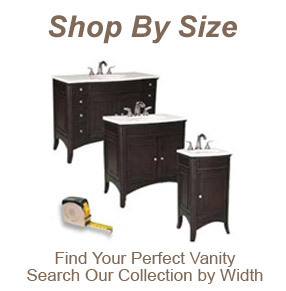 For all your bathroom vanity needs, don’t forget to check out our home page! To see our entire collection of awesome bath vanities, be sure to check us out at Bathgems.com! No matter what walk of life you follow, rest assured that Bathgems.com is your best San Diego bathroom vanity resource. A Vanity cabinet could be the answer to all your long standing problems about home design. There will be no more days of boredom inside your bathroom. Your bathroom can now be as elegant as ever, thanks to modern vanities. The appearance of your shower space tells a lot about your character as a homeowner. Hence, you should make it a point that such room in your home reflects cleanliness, functionality, and beauty. If you like to achieve these characteristics inside your shower room, one of the best things you can do is to incorporate a modern vanity cabinet in such space. When you love antiques, the natural path for you is to want to incorporate them into every nook and cranny of your home. Antique bathroom vanities can be the focal point of the entire room, as a matter of fact. Need A Makeover For That Small, Shabby Bathroom Vanity? Bathrooms have long been regarded as a place where we can relax and spend our time alone. A great deal of privacy is guaranteed in the bathroom that is why we tend to spend some time there alone whenever we want to. Bathroom do not only serve as a place for refuge, but at its primary purpose is to serve as a place where we can take a shower, bathe and fix our look.The bathroom and its bathroom furniture must not only be kept clean at all times, but it must also imbibe a more refreshing and relaxing atmosphere. Bathgems.com – Our Store is Opening So Soon We Can Taste It! Hey San Diego bathroom vanity shoppers!